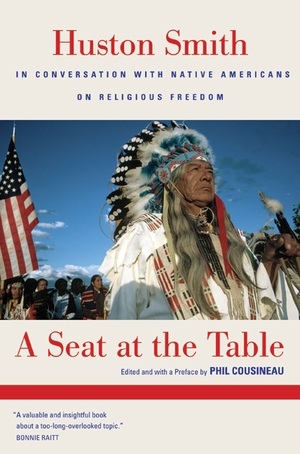 In this collection of illuminating conversations, renowned historian of world religions Huston Smith invites ten influential American Indian spiritual and political leaders to talk about their five-hundred-year struggle for religious freedom. Their intimate, impassioned dialogues yield profound insights into one of the most striking cases of tragic irony in history: the country that prides itself on religious freedom has resolutely denied those same rights to its own indigenous people. With remarkable erudition and curiosity—and respectfully framing his questions in light of the revelation that his discovery of Native American religion helped him round out his views of the world's religions—Smith skillfully helps reveal the depth of the speakers' knowledge and experience. American Indian leaders Vine Deloria, Jr. (Standing Rock Sioux), Winona LaDuke (Anishshinaabeg), Walter Echo-Hawk (Pawnee), Frank Dayish, Jr. (Navajo), Charlotte Black Elk (Oglala Lakota), Douglas George-Kanentiio (Mohawk-Iroquois), Lenny Foster (Dine/Navajo), Tonya Gonnella Frichner (Onondaga), Anthony Guy Lopez (Lakota-Sioux), and Oren Lyons (Onondaga) provide an impressive overview of the critical issues facing the Native American community today. Their ideas about spirituality, politics, relations with the U.S. government, their place in American society, and the continuing vitality of their communities give voice to a population that is all too often ignored in contemporary discourse. The culture they describe is not a relic of the past, nor a historical curiosity, but a living tradition that continues to shape Native American lives. Huston Smith is Professor Emeritus of Philosophy at Syracuse University. Among his many books are The Religions of Man (1958, republished as The World's Religions in 1991) and Why Religion Matters (2001). Phil Cousineau is the author and editor of numerous books, including Once and Future Myths: The Power of Ancient Stories in Modern Times (2001) and The Art of Pilgrimage: The Seeker's Guide to Making Travel Sacred (1998).